Correct me if I'm wrong, but I can't remember too many times a North Texas craft brewery has teamed up with a local homebrewer/consumer to produce a "pro-am" beer. Franconia has done a couple in association with the PantegoFEST Homebrew Competition, but the brews were released on a very exclusive basis. Rahr has maybe had a few as special tour tappings, and then there's the Best in Show winner from Deep Ellum's Labor of Love. 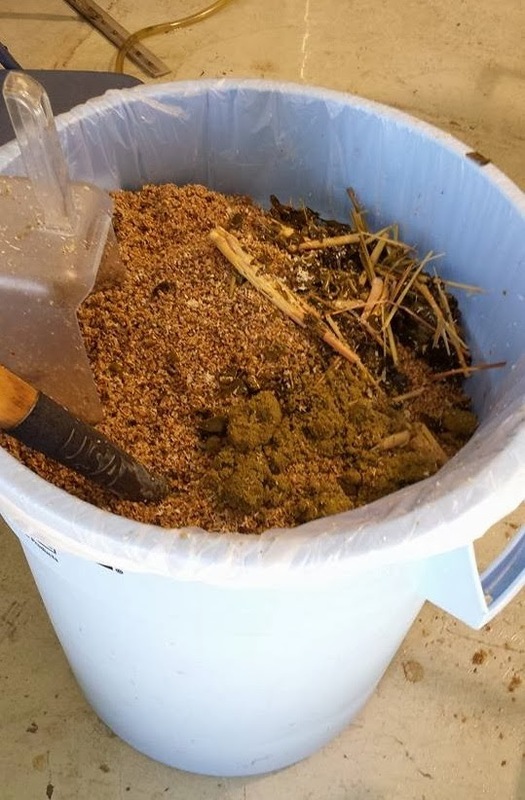 The Dubya, a recipe created by the Mox Nix Brewery out of Grapevine, is expected to be released prior to next year's event. This weekend, though, you'll have an opportunity to try two such creations. Rockwall's Justin Foley won the chance to be "Brewer for a Day" in a contest sponsored by Sportsradio 1310 The Ticket during North Texas Beer Week. He teamed up with Martin House owner Cody Martin a couple of weeks back, and the fruits of their labor are fermenting away as we speak. You won't see this on the Budweiser tour. Foley had the option of doing a collaborative brew or shadowing Martin for a day to learn more about the process and equipment. Martin noted that Foley was already "very knowledgeable about beer", so the decision was made to work together on the creation of two small-batch beers. Foley chose the ingredients for each brew himself, basing them on his "love of pairing craft beer with food." 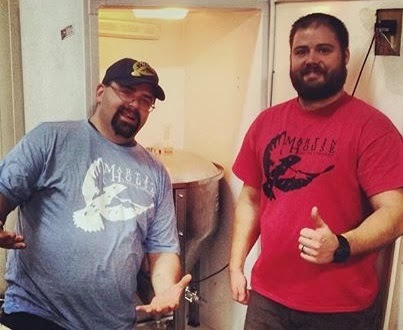 Martin worked up the all-grain recipes, and they proceeded to brew both beers in a single day on the brewery's pilot system. What the...? Spent grains, hops and herbs. Smokey D. RIPA - If you're not sure how to pronounce it, maybe this will help: it's an amalgamation of Smokey the Bear and Jack the Ripper. Say it with me now, smōk-ē dē rip-uh. It's a smoked double rye IPA which contains 15% rye malt and looks to be finishing up with and ABV of around 8.5%. Martin says the final gravity came up just short of where he'd like it to be and the smoke character isn't quite as strong as they'd hoped, but the result is still quite tasty. Best paired with, what else, Texas BBQ. Kumite - This Asian-themed saison may have you saying "What the Phó? ", but that's exactly where the inspiration for this beer came from. Martin hand-toasted fresh coconut with a blow torch, while Foley hand-chopped all the herbs and peppers. Can you say hand-crafted beer, Mr. Miller? What about you, Mr. Busch? No? Anyway, Martin's take on this one is that the "Kaffir lime [leaves], lemongrass, and coconut shine, with Thai basil, cilantro and Thai chilies rounding it out nicely." Want to try one? You'll have to head to Fort Worth on Saturday, February 8, for the regular tour at Martin House. First pour will be at 2 p.m., but the yield on each beer is expected to be less than 20 gallons. In other words, get there early!